You are currently browsing The Bacchanals’s articles. 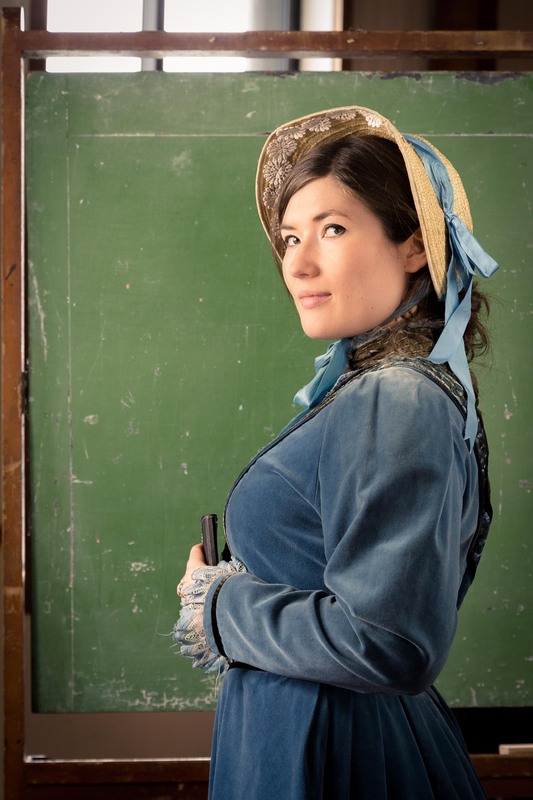 BLUE STOCKINGS opens on October 28! Breaking news: The Bacchanals are staging the NZ premiere of Jessica Swale’s Blue Stockings! “A woman who expends her energy exercising the brain does so at the expense of her vital organs,” said Dr Henry Maudsley, world-renowned psychiatrist and advisor to the royal family in 1874. Two decades after Kate Edger became New Zealand’s first female university graduate in 1877, women in the rest of the British Empire were still fighting for the right to education despite matching their male peers grade for grade. Blue Stockings tells the tale of four women studying science at Girton College, Cambridge in 1896, the year that headmistress Elizabeth Welsh attempted to convince the University senate that women should be allowed to graduate with degrees. Winners of the Critics’ Wildcard award for Guts, Determination, Kiwi Ingenuity and Inspired Profligacy With Zero Budget at the 2013 Chapman Tripp Theatre Awards, the same team of Bacchanals who brought you Coriolanus, The Clouds, Gunplay, All’s Well That Ends Well and Once We Built A Tower are so happy to be back with their third show for 2014 and their 29th production as a company. Blue Stockings stars Kirsty Bruce, Alice May Connolly, Joe Dekkers-Reihana, Brianne Kerr, Salesi Le’ota, Michael Ness, Hilary Penwarden, Jean Sergent, Ellie Stewart, Michael Trigg and Aidan Weekes, and is directed by David Lawrence. Next time: a cut & paste of the media release for our January 2015 production of Richard III, no doubt! ONCE WE BUILT A TOWER is touring the South Island NOW!! Breaking news: The Bacchanals stop their terrible neglect of this ‘blog to tell you that they are touring a play! All shows are at 7pm and entry is by koha/donation! The show is two hours long and there’ll be a fifteen minute interval for a cup of tea. We’re exhausted with the effort of telling people how great this show is and what a good time this tour will be, so look to our website for more information on the show and the cast. Come on down and see us, y’all! you won’t regret it. Looking forward to seeing you all in the South Island! Huge huge thanks to our funders & sponsors and in particular to Interislander, Coffee Supreme, Emerging Artists’ Trust Wellington, Pelorus Trust, Creative New Zealand plus Boosted, Playmarket, The Long Hall and everyone else who’s helped us out! We love you so much it will surely kill us. Or you. You decide! Next time: will The Bacchanals be able to squeeze one more show in before Richard III opens on 15 January 2015?? Official Details for Henry the Sixth, Part One! Every saga has a beginning. Every journey has a first step. Every great trilogy has a weird prequel. This is the first installment of the action-packed trilogy The Wars of the Roses, set to be staged over the next two years, the prequel to Henry VI: Parts Two and Three and Richard III… coming soon! Multi-award-winning winning company The Bacchanals have joined with the newly formed Victoria University of Wellington Shakespeare Club to produce this exciting production as part of NZ’s Compleate Workes year. The large cast includes Bacchanals stalwarts, Alex Greig and Salesi Le’ota, internationally trained fight-choreographer, Allan Henry and is directed by David Lawrence.